Lady Gaga has told her fans that she will make sure the items she has purchased of Michael Jackson‘s designer will be kept in good hands. Dozens of the King of Pop’s legendary belongings went on sale, such as his iconic diamond glove, the jacket he wore in the ‘Beat It’ video and much more. Lady Gaga had shown interest in some of the items and ended up buying 50 pieces, worth a reported $3.5million. Gaga, who says she was inspired by the late singer, tweeted to her millions of fans that every single piece will be “expertly cared for” — but then again, of course you would make sure it is cared for, considering she spent so much money on them in the first place. 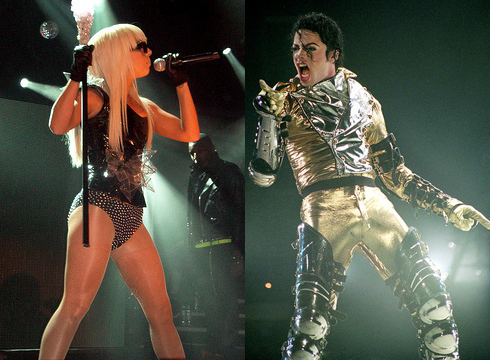 “The 55 pieces I collected today will be archived & expertly cared for in the spirit & love of Michael Jackson, his bravery, & fans worldwide,” GaGa assured followers on Twitter. Among the most sought-after pieces was the jacket Jackson wore during his Bad world tour, which sold for $240,000 (£149,000), and two of his crystal-encrusted gloves, which went for $100,000 (£62,000) each. Some proceeds from the auction benefited Guide Dogs of America and the Nathan Adelson Hospice of Las Vegas.